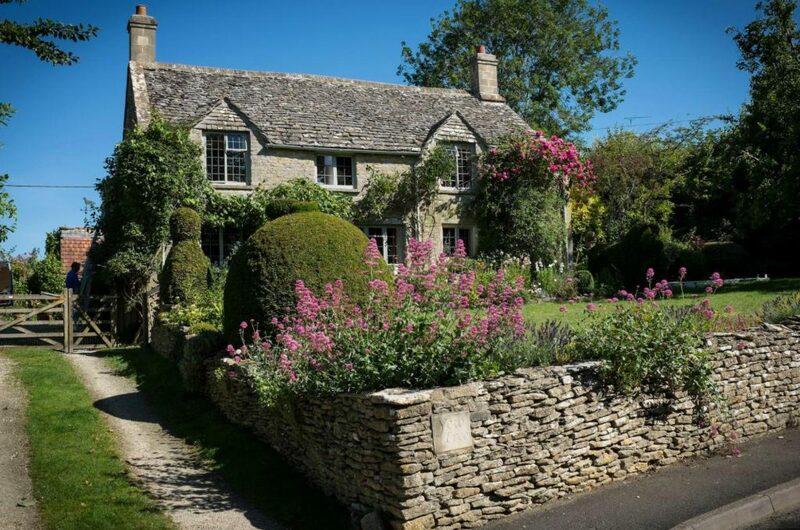 One of the delights of the Cotswolds is to meander around the villages with little fixed purpose, but there are a host of houses and gardens to visit, neolithic remains galore,and outdoor sports both traditional and modern. You can easily mix and match from local opportunities for clay shooting, golf, cycling and riding and throw in some excellent walks too! Chedworth Roman Villa – the Romans obviously liked the Cotswolds: as well as the TimeTeam site in Turkdean, the remains of one of the largest Romano-British villas in the country are located at Chedworth. The drive up the Yanworth valley and around Stowell’s perimeter is almost more magical than the Roman Villa. Sherborne Lodge Park – a unique deer coursing grandstand built for the Duttons in 1634, renovated by the NT in the 1990s is just round the corner. 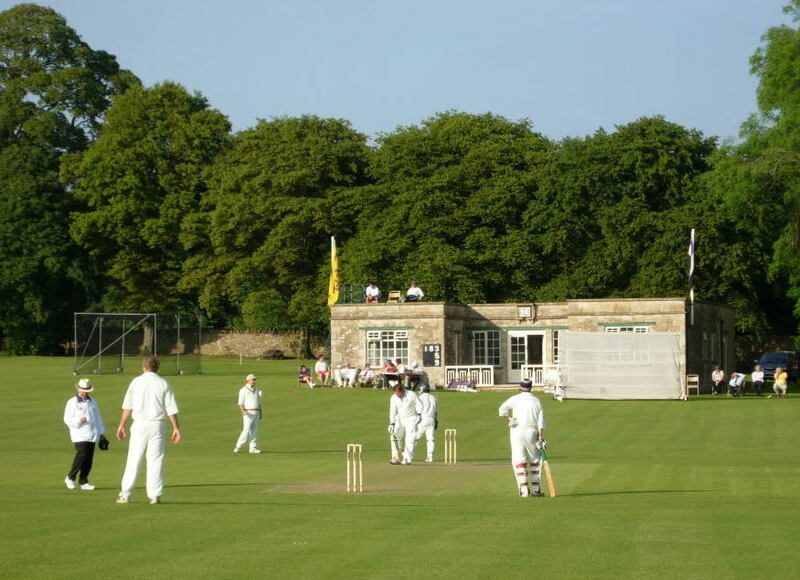 The grandstand sits within the 4,000 acres of rolling Cotswold countryside of the Sherborne Estate with views down to the River Windrush although Sherborne Park itself was converted into apartments after the estate was given to the Trust in 1982. Hidcote Manor Garden – one of England’s greatest gardens, an Arts & Crafts masterpiece created by Major Lawrence Johnston. It’s worth noting that weekends and Bank Holidays can be very busy, so a visit first thing in the morning or after 3pm may be more enjoyable! Snowshill Manor  – the former home of eccentric Victorian collector Charles Paget Wade. A small but appropriately eclectic house, recently renovated in “NT Classic” style. Chastleton House – a fine Jacobean houses in continuous family ownership for 400 years until its acquisition by the Trust in 1991. Notgrove Long Barrow – a Neolithic burial mound right on our doorstep (well, only 2 miles) is one of a number of Neolithic remains in the area. (Turkdean even merits a namecheck by Indiana Jones in the Raiders of the Lost Ark.) Not much to see, but sometimes a walk is improved by a specific objective! It’s always worth checking the relevant websites or telephoning ahead to check houses’ and gardens’ current opening times, as they do take it in to their heads to change these from time to time. Bourton House Garden – an impressive, but still domestically-scaled garden in Bourton-on-the-Hill (not “on-the-Water”) which is easy to combine with a visit to Sezincote too. Paul Nicholls retired in 2018, but the garden remains open Tuesday – Friday (ie, not weekends) from April to October. Broadway Tower – is a view well worth the climb! Now with added café-ness and nuclear bunker too! Open year round in principle but slightly inclined to close if it’s raining or howling a gale. Blenheim Palace and Gardens – 2000 acres of Capability Brown landscaped parkland surrounds Vanbrugh’s greatest masterpiece and “Britain’s Finest Palace”. A miniature train as well as the Marlborough Maze, an Adventure Playground, a Butterfly House and a lavender garden too! Eye-poppingly expensive, but there is a lot to do and see. Miserden Park Gardens – beautiful herbaceous borders, shrubs and stunning topiary in the garden of this house owned by the Wills family since 1913 and now run super-competently by Nick Wills. Nice glasshouse café too. What the Cotswolds used to be all about: small-scale, individual, high quality delight. Gardenistas will know that it was where Chris Beardshaw put his garden together for the 2018 Chelsea show. It was also the HHA’s garden of the year, this year, so it will get a little more popular I should think. If I had to choose between Hidcote and Miserden, I would choose Miserden. Closed on Mondays. Colesbourne Park – the Elweses’ are snowdrop cultivators extraordinaire and their gardens are consequently open on weekends in snowdrop season in February and early March. Sudeley Castle – a Victorian glovemaker’s re-creation of a castle on this historic site previously destroyed by Cromwell. Expensive, but free for HHA members. Sezincote – great gardens surrounding a fascinating manor house in the Regency Indian style, lavishly restored in the Kleinworts’ ownership since 1944. No children in house, no dogs in garden. (This sounds a little hostile, but it’s not – I thought that it was quite funny!) Open on Thursdays, Fridays and Bank Holiday Mondays only. Stanway House – opening hours are as eccentric as its owner, Lord Neidpath, but Stanway’s Jacobean gatehouse of mellow Cotswold stone, highly personal house and slightly surprising fountain makes it our favourite house anywhere in Britain. Only open on Tuesday and Thursday afternoons. Kelmscott Manor – the country home of William Morris, now owned by the Society of Antiquaries and containing a collection of William Morris furniture, textiles & ceramics. Only open on Wednesdays and Sundays between April and October. Batsford Arboretum – 50 acre arboretum containing over 1,500 trees, established in the 1880s by the Redesdale family and home to the Mitford girls during the Great War. The arboretum was considerably developed under the Wills family’s ownership between the 1960s and the 1980s, recycling the tobacco fortune organically in a sense, before being turned over to the charitable Batsford Foundation in 1984. Cotswold Motoring Museum – it’s astonishing to find this brilliant museum in Bourton-on-the-Water. Run by the Civil Service Motoring Association it contains a substantial toy collection in addition to the main motor-car exhibition. Cheltenham Racecourse – we are about 15miles (or 24km) and a 30 minute drive from the home of National Hunt racing and “The Festival”. The Cotswolds provide great walking and cycling opportunities and Turkdean is well placed for both. For cyclists, bicycles are available to hire locally in Bourton-on-the-Water at Hartwells. Walkers must bring their own feet as two long-distance routes pass through Turkdean. Macmillan Way – the Chedworth-Bourton section of this 290-mile path runs directly past the cottage as part of its long course from Boston on the Lincolnshire coast to Abbotsbury in Dorset. Peter Titchmarsh’s eponymously-entitled walking guide ‘The Macmillan Way’ and the supplemental 48-page ‘Cross-Cotswold Pathway’ and 12-page Cotswold Link’ pamphlets are all available from the Macmillan Way Association. North Cotswold Diamond Way – this beautiful circular 60-mile route created by the North Cotswold Ramblers Association in 1995 also passes through Turkdean on its Notgrove-Hazleton-Turkdean-Hampnett section. Elizabeth Bell’s excellent handbook ‘North Cotswold Diamond Way – 30 Sparkling Short Walks‘ maps the course of this path in 30 shorter walks. There are bridleways and horse-friendly routes all around us and up in Stanton (15 miles North, near Broadway) Jill Gabb offers brilliant lessons and magnificent hacks for adults and children. Closer to us, Leanne Launchbury offers easy pony rides through the Slaughters at the Bourton Vale riding centre. Clay Shooting – Nick and Claire Phillips-Holt run the Cotswold Clay Club & Shooting School about 5 minutes away in Farmington every Sunday. Shooting School – or you could take your shooting somewhat further, with a trip to the world-renwoned Ian Coley Shooting School over at Andoversford about 8 miles from Turkdean, where they provide everything from an hour’s clay pigeon shooting to high-level competition shooting tuition. The charming Naunton Downs Golf Club is only about 3 miles from Turkdean and is a particular favourite. Daylesford – we are only about 12 miles from Daylesford, where Carole Bamford has created a little slice of retail heaven together with ‘The Haybarn‘ – a full-blown spa that would not disgrace the most luxurious of hotels and which could certainly soothe aching feet very effectively. We are also just a gentle 45 minute drive from Stratford-upon-Avon where the RSC’s world-class productions have been rejoined by a refurbished “Other Place” once again, adding a third outlet to the RST stage and the marvellous Swan Theatre. Longborough Festival Opera – this splendid festival was established on the Glyndebourne model by Martin and Lizzie Graham in 1991, with black tie picnics in the beautiful gardens during the long interval through June and July. The 2019 season runs from 5 June to 3 August and will include four new productions: Wagner’s Das Rheingold, Donizetti’s Anna Bolena, Mozart’s Don Giovanni, and Cavalli’s La Calisto. 12 miles from Turkdean.